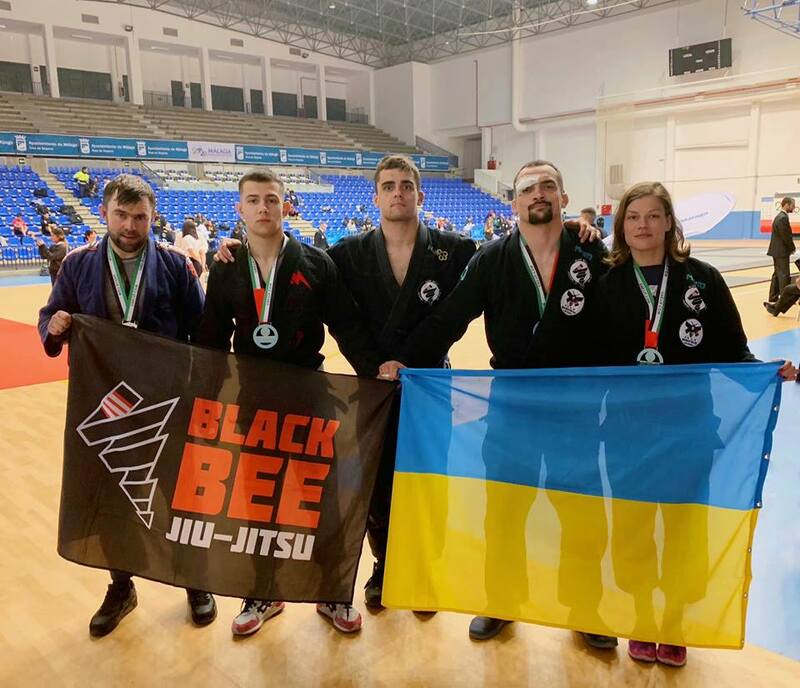 Jiu-jitsu.News: Ukrainian fighters conquered Spain! Ukrainian fighters from “Black Bee Jiu Jitsu” team have honorably represented their country at the “Europe Continental Pro Jiu-Jitsu Championship” recently. International sports event was held on February 23 in Malaga (Spain). The championship was open to the owners of different belts of all nationalities and age divisions: kids, juveniles, adults, and masters. The UAEJJF rules were applied to the challenge. Talented athletes from many countries, including fighters from Ukraine, attended the tournament in order to gain invaluable BJJ experience. In general, Ukrainian sportsmen won 4 medals. Yaroslav Kizenko and Bogdana Golub received gold medals, Ivan Gladush and Alexander Matviichuk – silver. All athletes competed in Gi.